Play starts with 2 cutting free, with a curl move around 4. 1 gets a screen from 4 and cuts to the low post. Staggered screen from 4 and 5 to get 1 free on top of the 3-point area. 1. 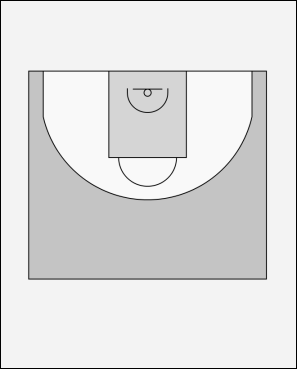 Pick and roll on the top with a screen on the right of 1. 4 goes to the top and 2 to the corner (3-point options). 2. Or pick and roll at the top on the left of 1. 4 goes high and 2 to the corner (3-point options). Remember if at any point of the play the defender of 3 gets bored and thinks he should help, 3 is free and can receive the ball for a 3-pointer.